We'd love to help get your recipient's address corrected if at all possible. If available, please reference the 16 digit letter ID number (in your confirmation email) and include what needs to be fixed. This will help us fix the problem quickly. 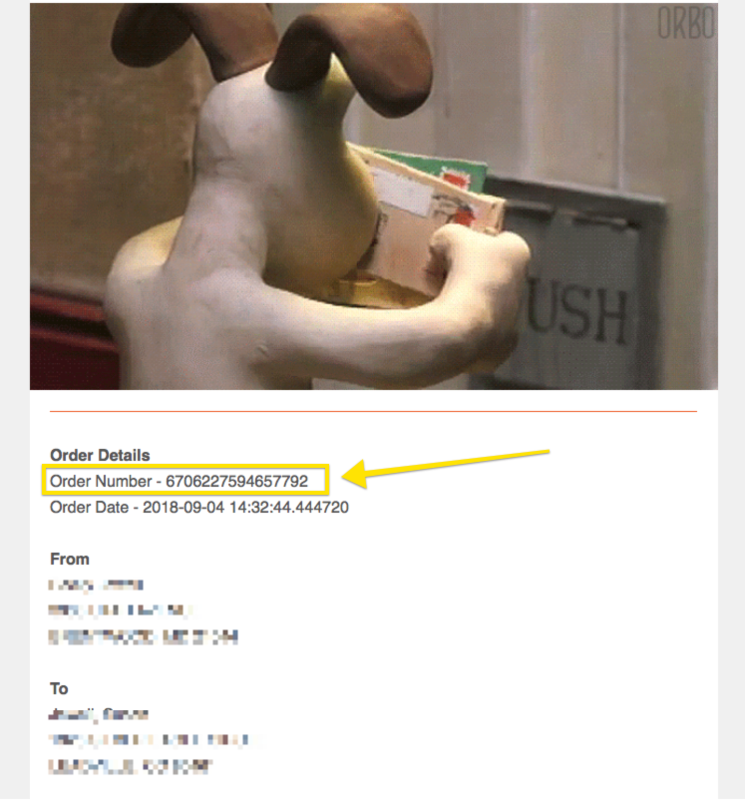 See below for an example of how the Order ID will appear in an Order Email confirmation. Sandboxx prints and send Letters throughout the day. If you reach out to the Sandboxx team after 4:30 PM EST, we cannot guarantee that we will be able to find and edit your Letter's address. We are not able to edit Letter content. If you are not sure what your address is supposed to look like, check out the following guide on our Help page. Can I fix this on my own without having to contact Sandboxx? In the long term "yes!" We are working on a feature in an upcoming release to allow you the ability to correct the address on your own. Stay tuned to our Product Updates section to learn more! Military addresses can be a finicky thing. Sometimes mailrooms have various local rules and routing options so using our knowledge base and experts on the ground, we reference our information and sources to get your Letters delivered. Contact our Customer Happiness team if you have continued questions or concerns! We are here to help.